Tag Archives: Gary Trent Jr.
Grayson Allen was the Player of the Game for Duke. Defense keys Duke win over Hokies. 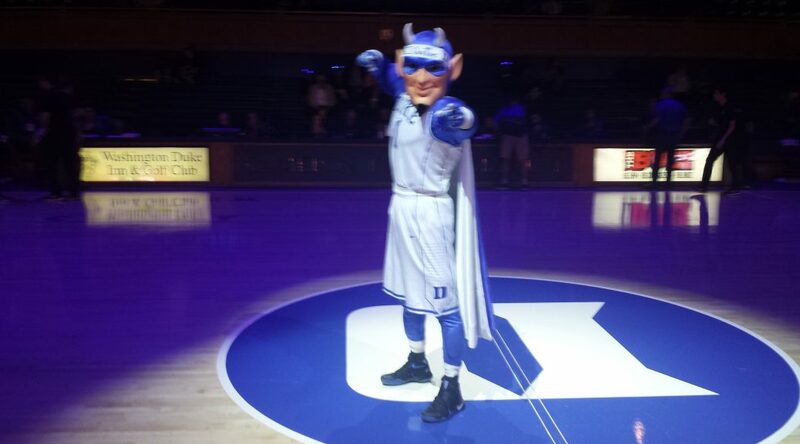 The Duke Blue Devils played their best forty minutes of basketball this season. The result was an impressive 74-52 ACC win over Virginia Tech. The win sets up a situation where the (9-4 ACC, 21-5 overall) Blue Devils can move into second place with a win at Clemson this weekend. 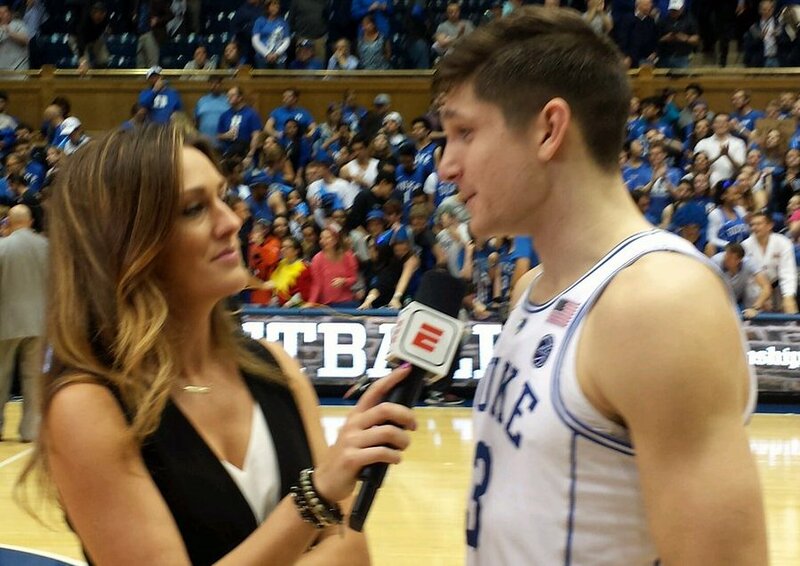 Duke played zone the entire contest and more importantly they talked to one another on the defensive end. "We stress talk. The system we try to teach is offense, defense and communication. 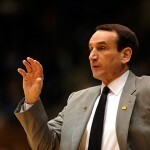 But defensively, especially in zone, when you are talking you will be wider," said Krzyzewski. The Duke coach also acknowledged it was his teams best defensive game of the season. The Blue Devils helped themselves after a half time adjustment where the Hokies had nine turnovers after just one at the break. 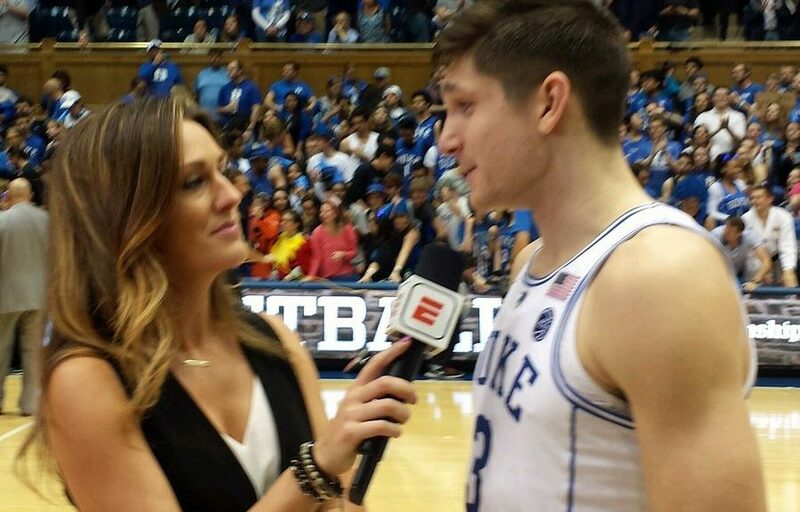 Grayson Allen led Duke with 25 points and was the kind of leader the staff envisioned for Duke tonight. "He's our leader. We've had him off the ball a lot, so he has tried to lead from there but the ball is not in his hands. With the ball in his hands he can make plays and call plays and is in more command, said Krzyzewski. You can expect the strategy of Allen having the ball in his hands more to continue for Krzyzewski acknowledged it has helped the team in their last two outings. All of the Duke players Blue Devil Nation spoke with after the game said this was their best 40 minute effort of the season. And all of them had things to say about their communication in a zone defense that held a potent Hokies team to just 52 points. Gary Trent Jr. added 19 points for Duke. He was joined by Revon Duval (10 points) and Wendell Carter Jr. (13 points and 13 rebounds) as double figure scorers. Duke started Marques Bolden (2 blocked shots) in the first half but opted for Javin DeLaurier in the second half. DeLarurier played with energy and went 3 for 3 from the field and was on the end of some outstanding passes. Those scores helped Duke gain continued energy in their victory. The Blue Devils also scored 18 second chance points and tallied seven steals in the game to just one for the Hokies. Duke held a monster advantage on the boards with a 36-19 advantage despite their leading scorer and rebounder in Marvin Bagley III being sidelined with an injury. Duke can take over sole possession of 2nd place in the ACC with a win at Clemson this Sunday. That game tips off at 1:00 and will be televised by the ACC Network. The Duke Blue Devils travel to Wake Forest this evening in a game that will tip-off at 9:00 and be televised on the ACC Network. The Demon Deacons are struggling, but as anyone knows strange things can happen when you are on the road in the modern-day Atlantic Coast Conference. It has been quite a week for the Duke program. 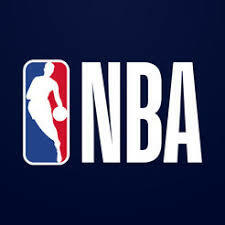 The team is playing better defensively and the roles of the starters are being defined in a better way. And there is no avoiding the verbal commitment from Zion Williamson which gives Duke the top class next year. In a sense, it is hard not to get involved in the excitement and be caught looking ahead. Virginia will visit Cameron Indoor Stadium this weekend in the best match up of the week. And there will be a lot of hype for the #2 and #4 teams in the nation squaring off. But first things, first for the Duke Basketball program. The team finds itself poised to make a move up the ACC standing ladder but only if it takes care of business. And that business starts with a difficult starting time against a Wake Forest team which will play loose with nothing to lose. On paper, Duke should win the game. Gary Trent Jr. was recently named ACC Player of the Week. He is turning the corner as a player. the same can be said for Wendell Carter Jr. who seems more comfortable in his role. 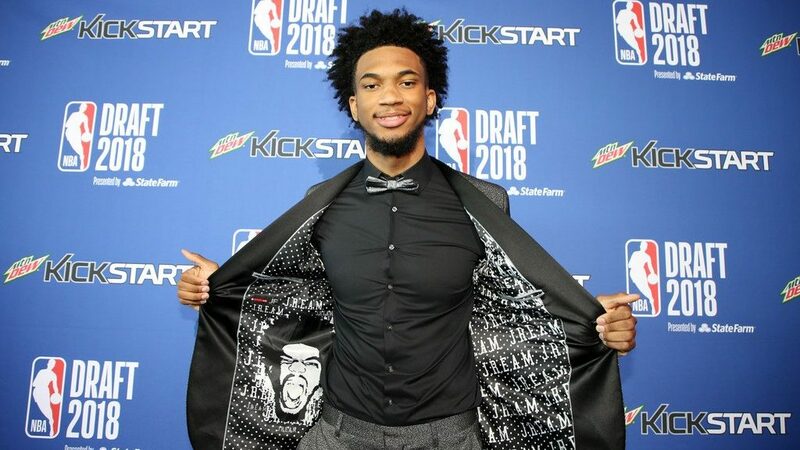 And then there is Marvin Bagley III who is quite simply the leagues best player. Add to that group, Trevon Duval who leads the conference in assists and the leadership of Grayson Allen and you see why Duke is a 9 point favorite. But these guys are young and one of the next things they must prove is their ability to handle their business when they need too. Duke has been fortunate enough to have two games with cellar dweller Pitt of late. Those games provided the team a chance to work on many things, including their man to man defense. But the Deacons, even with just 8 wins on the season is a much more talented team. Wake Forest will come to play. That Harlely Davidson will rev up before the contest and this is their biggest game of the year at home. Duke will certainly have some fans in the stands, but this is the game for the Deacon faithful and they always play Duke tough in Winston Salem. You can expect Duke to play its bench in this game as well. But the two points they got from the backups in the last outing won't cut it moving forward. So, the next step is developing some sort of consistency from this cast of players. So, what we are watching for tonight is whether a young team which is favored on the road at the end of January can focus on the job at hand. And that will be a task having mentioned possible distractions. And while we are speaking to distractions, Duke must turn around and play Notre Dame the Monday after the showdown with Virginia. Duke has a golden opportunity to get back into the regular season race by a week from today. The three conference games coming up will show us a lot about this teams meddle. So, in that sense, an interesting seven-day stretch starts tonight. The Blue Devils are also starting to position themselves for a possible bye in the fast approaching NCAA Tournament. But before we look too far ahead, first things, first for this team. Make no mistake if the Blue Devils want to win the regular season crown, business is at hand. After an unseasonably warm couple of days, the weather turned cooler on the day of the Duke-Wake Forest game. Walking up to Cameron Indoor Stadium one could see tent city in full bloom. The students were back in force to cheer on their beloved Blue Devils who sought to get back in the thick of the ACC race with a win. But things were far from normal on this day. 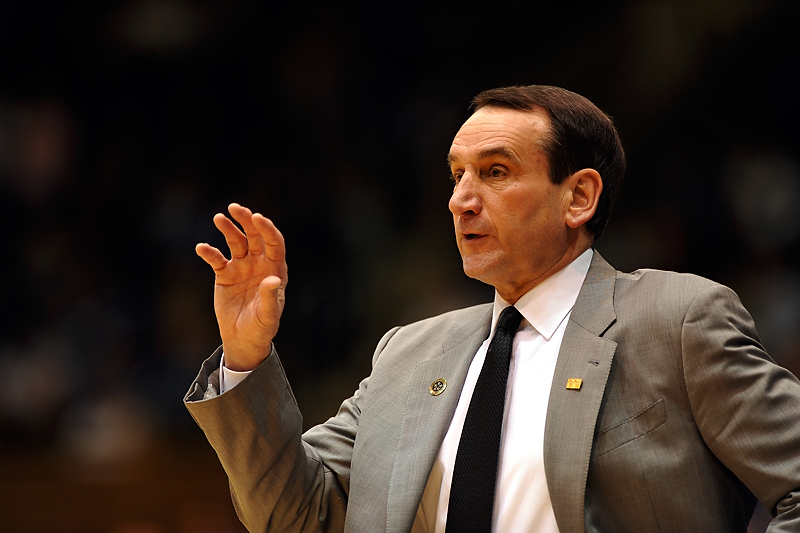 About an hour before tip-off, Duke Coach Mike Krzyzewski decided not to coach in the game. He had just come down with a stomach virus and he did not want to make his players sick, especially with a trip to Miami on the horizon where Duke has to take on the Hurricanes in just over a day away. Add Gary Trent Jr. to the list of sick players as well. Trent hovered over a trash can on the bench but would play in the game. 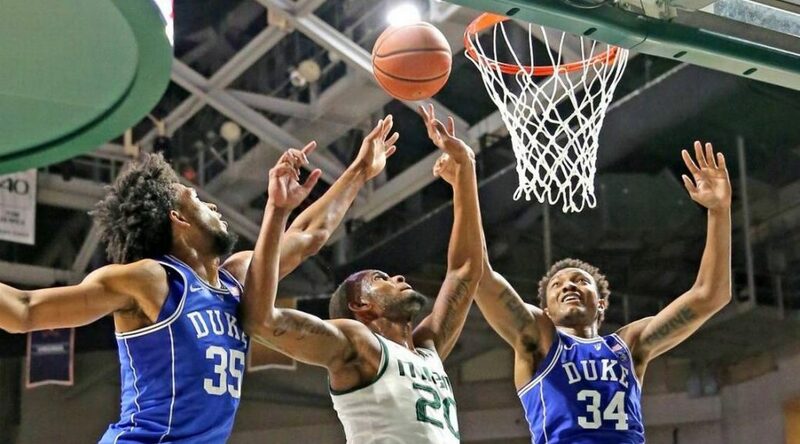 Duke was also without the services of Javin DeLaurier and Marques Bolden, but the team did not give in to the pressure. Instead, they rose to the occasion and came away with an 89-71 win over Wake Forest. Duke Associate Assistant Coach Jeff Capel took the reigns in Krzyzewski's absence. And Capel looked more than a little comfortable taking over the role with short notice. After all, this is not his first rodeo. Capel substituted enough to keep the players fresh in the game. The involvement seems to have helped Duke in wins over Pitt and Wake Forest which has pushed the team's record to 3-2 in the ACC and 15-2 overall. Of course, it is nice when Capel has Marvin Bagley III (30 points, 11 rebounds) on the floor. Bagley threw down some emphatic dunks on his way to his 14th double-double of the season which ties the Duke record for a freshman. 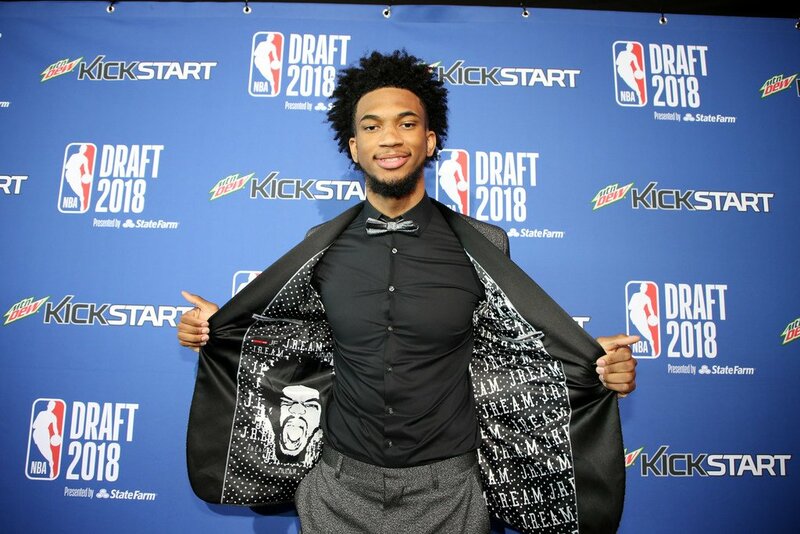 Bagley also has 4 steals. And, of course, some of those led to crushing dunks. Some of the students were donning his face on their shirts which his Dad had made. Wendell Carter Jr. (15 points, 11 rebounds) chipped in with a double-double as well. The duo were also beasts on the glass and altered many Wake Forest shots over the course of the game. Grayson Allen continues to struggle with his shot. But he earned the praise of Coach Capel in that while only scoring 2 points he led the team in rebounding with 12 and assists, dishing 8 dimes. Despite being really sick, Trent Jr. nailed three consecutive three-point shots and played another good overall floor game. Capel praised his toughness where he tallied 19 points. Duke played a zone for much of the game and they were active in it when doing so. The Blue Devils held a good Wake offense down when Capel went back to it in the 2nd half, after they cut into the Duke lead and closed to within 13. Due to the closeness of the two games, the staff will not be able to go on the road and watch some key prospects in the Hall of Fame Classic. It is unknown when Krzyzewski and player Bolden and DeLaurier will return.